You can order this book now. Mary White, farm wife and mother of ten, kept a dairy of everyday life in her rural town of Boylston, Massachusetts. 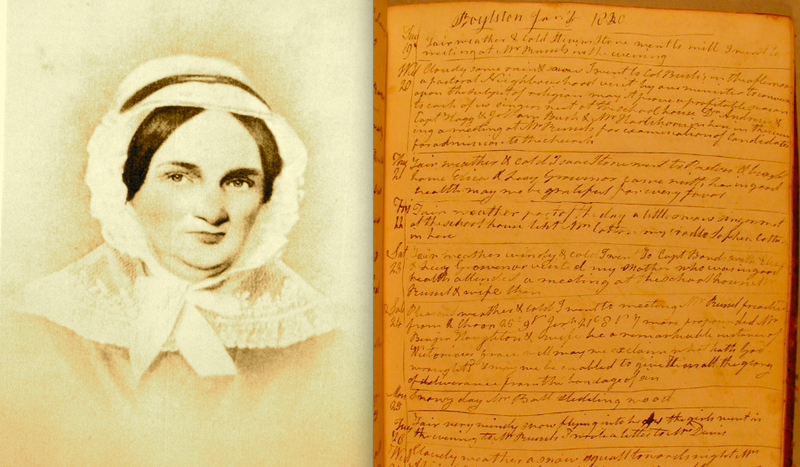 From the 1820s through 1840s – years later characterized nostalgically as a pastoral age of homespun — Mary’s diary records a remarkable tale: unremitting local conflict. Much that had sustained her village in the past — established church, gentry leadership, neighborly obligations, family bonds – were threatened. People were resisting the old ways. The rising generation, especially, pushed to realize the new nation’s expansive promises of liberty and improvement. Deference to authority and common good, submission to community norms, demands of family farms, all seemed like frustrating fetters to those seeking self-determination or social improvement. The result was a deeply troubled time of wrenching personal and family conflicts and village contention. A Crisis of Community examines the tumultuous Jacksonian era at the intimate level of family and community. The social world of Boylston’s parlors and tillage fields, taverns and town meetings was no longer centered on age-old goals of community well-being. In farm towns across New England, corporate unity was shattered by individual striving, battling religious sects, crusading reform movements, factious party politics, expansive associations of choice and interest, and most powerfully, the individual pursuit of self-reliance. Boylston’s story brings to life the troublesome creation of a new social, political, and economic order as people chose to redefine belonging and refashion relationships. 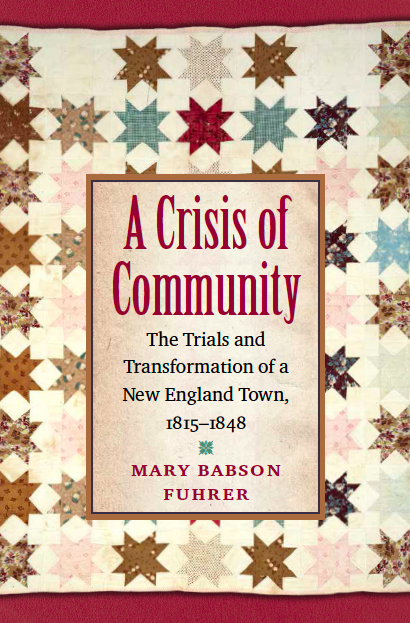 Blending family records and a rich trove of community archives, A Crisis of Community examines the “age of revolutions” through the lens of a rural community that was swept up into the networks of an expanding and urbanizing New England region. This finely detailed history lends new depth to our understanding of a key transformative moment in American history.